What Does a 'Water-Resistant' Watch Really Mean? Triathletes need watches. They give us so much data and, over time, become an old training partner strapped to our wrist. Most athletic watches come stamped with comforting words for a triathlete—WATER RESISTANT—with a number behind it. The term "water resistant" long ago replaced "water proof" as the acceptable terminology for watch manufacturers. Water-proof was eventually forbidden by the International Organization for Standardization (ISO) for being misleading. 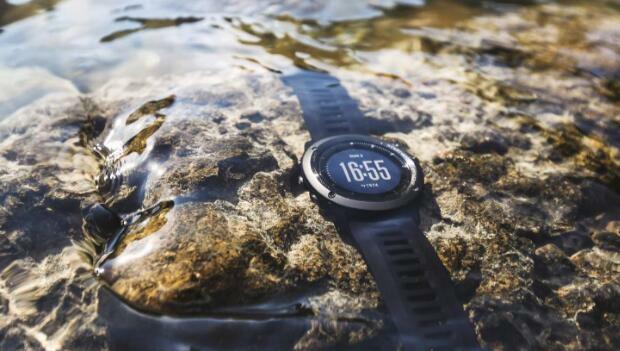 The ISO eventually specified the requirements and test methods of water-resistant watches (referred to as ISO 2281) to make sure consumers weren't misled when purchasing a watch that might come in contact with water. More: Is Your GPS Watch Accurate? If a watch says it's water resistant up to 50 meters, that does not mean that you can swim as deep as 50 meters below the surface, as long as you want and as often as you want, and experience no problems with the watch. This is the most common misconception of what water-resistant means. The ISO testing procedures are rigorous, but it doesn't involve someone diving 50 meters below the surface and then checking the time. Instead, it's a pressure test in a laboratory that's comparable to static water pressure, coupled with immersing in 10 centimeters of water for one hour. The official measurement is atmosphere (ATM), which is equal to 10 meters of static water pressure. Keep in mind that watches often come in contact with water pressure that is anything but static. A wave breaking on you at the beach, a garden hose being sprayed on you, jumping off a high dive into the pool—all of these things cause a large amount of water pressure to come in contact with your watch, if only for a split-second.